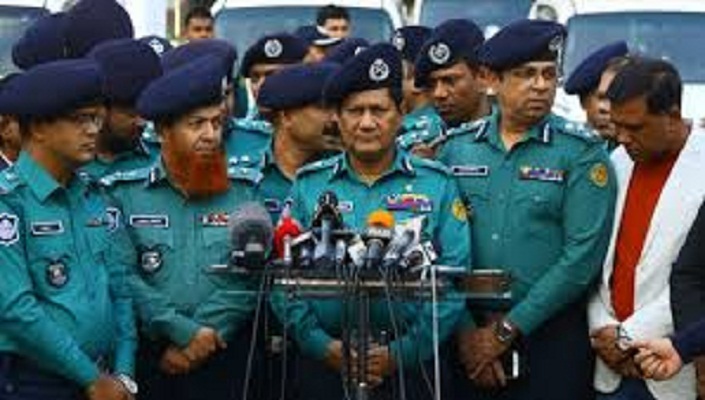 Dhaka Metropolitan Police Commissioner Asaduzzaman Mia said action will be taken against traffic rules violators regardless of who they are. The DMP commissioner made the comment while inaugurating Traffic Week on Sunday morning in front of the SAARC fountain in the capital. The drive will continue till March 23. Asaduzzaman said stern action will be taken if anyone in the society violates traffic rules and causes problems for the public. He requested all politicians, high profile persons, bureaucrats, lawyers and other concerned of the society in a bid to maintain traffic rules. Asaduzzaman also requested everyone including drivers to maintain traffic rules and warns drivers against using mobile phones while driving.